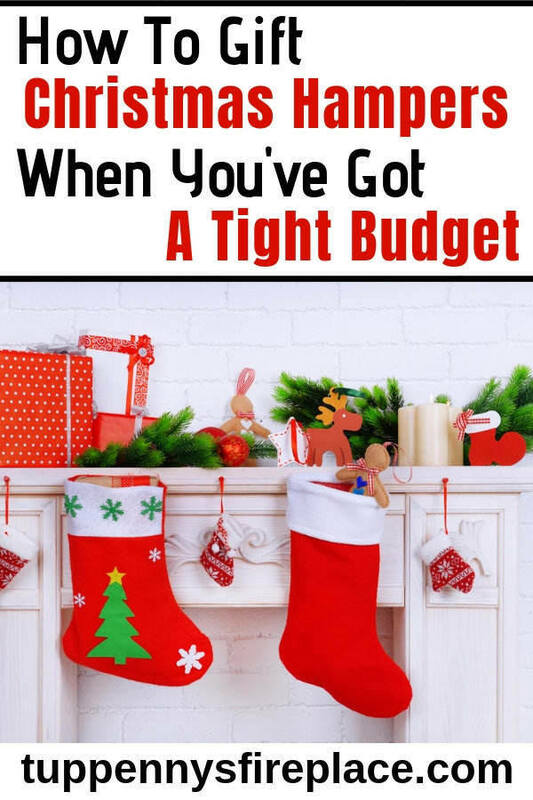 As a fabulously frugal wannabe the lead up to Christmas can be a stressful one. Have I saved enough money? Am I going to blow my present budget? There are many things you can do to reduce the cost of Christmas. 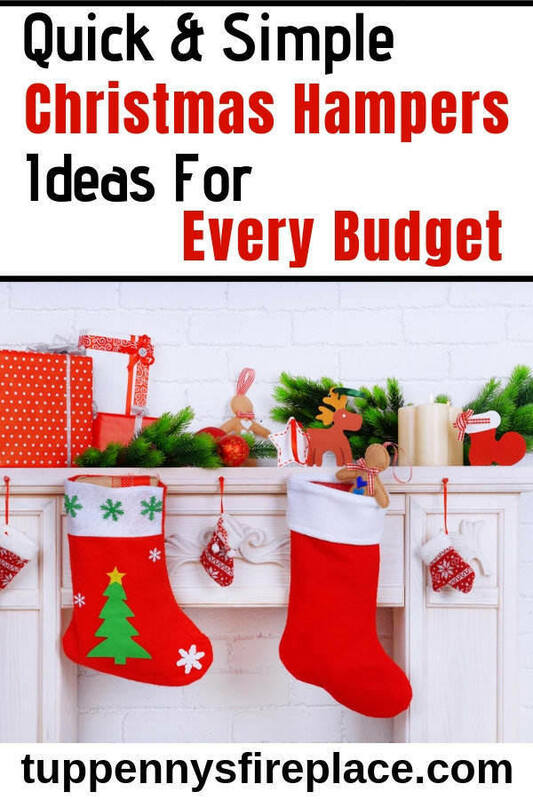 For one thing you can set yourself a present budget and save a little money every month. Alternatively if you don’t save for 12 months of the year, why not save for 12 weeks instead? Saving money every month towards Christmas and birthdays is the ideal but you don’t want to miss out on bargains as they arise. I often pick up gifts throughout the year and put them away for using at a later date. The number one way I save money on actual gifts each Christmas is to not buy the gifts but make them. With an allotment that always provides a glut of at least one vegetable, making jams, chutneys and pickles is a perfect way to use vegetable gluts up. I enjoy turning a pile of fruit and veg into a gift that has cost me a few hours of my time but only pennies in cost. My problem is I am not very creative so I can research recipes for the fruit and veg I have but making the jars look good each year can be a struggle. This is where hampers and baskets come in. A jar of chutney on it’s own isn’t the most beautiful thing under the tree. Well it’s not when I’ve decorated it anyway! However, a small basket or home made hamper with some colourful shredded paper, ribbon and clear film takes your chutney jars to another level. Your home made hampers don’t have to be exclusively chutney filled. You can fill a hamper with home made goodies like biscuits and sweets. The hamper contents don’t have to cost much at all. A movie night hamper could include a cheap DVD, a bag of microwave popcorn and some chocolate. Just £5 if you bought a very cheap DVD. But if you are creatively challenged it doesn’t mean you can’t give the gift of a hamper this Christmas. You can buy ready made hampers from most stores from a simple sweet selection to a full Christmas Day with all the trimmings hamper. 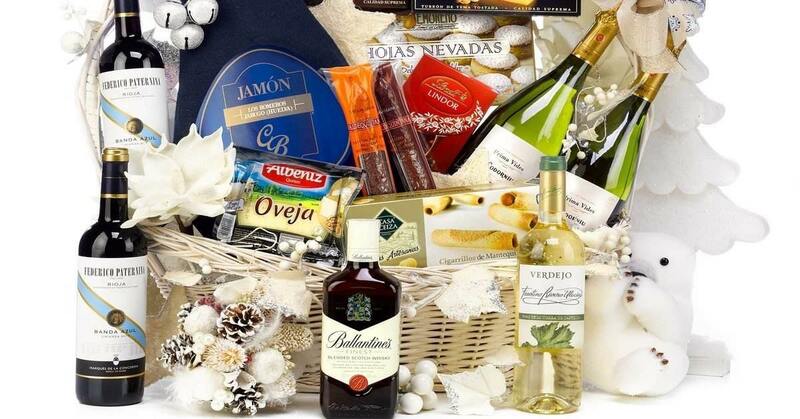 You can find a selection of hamper deals here which will give you an idea of choice and budget. When you’ve run out of a time a ready made hamper can be an ideal present especially for those difficult to buy for folk. You don’t have to spend a fortune either. Another thing you could is to research the types of hampers you could buy and re-create them according to your own budget. For instance, a pamper night hamper might cost you £25 but by buying individual small items you could create your own home made one for £15. You still have time to both save money and get your thinking cap on with regards to frugal, home-made gifts. If you’re not a chutney maker or a baker, you can still give the gift of home-made through hampers you have personally created. Being totally honest, I usually plump for a mixture of home made and cheap ready made hampers. I often have extended family to buy for and ready made hampers are seriously easy and save me a bunch of time. Especially if I can find them online and order them that way. Not fabulously frugal but if they’re within my budget I’m all for the time saving when my time is running out. I love hampers. I have vivid memories of being around eight and watching ‘One of our dinosaurs is missing’ on TV the Friday before Christmas at the start of the school holidays. My dad came home from work and he was carrying this old style wicker hamper that he had been given by his boss as his Christmas bonus. None of us had ever seen anything like it before. We opened the leather straps and inside, all buried in shredded paper, were chocolates, and nuts, and biscuits, and whisky marmalade, and a Christmas cake wrapped in a tea towel as well as exotic things like tinned pate that we had never even heard of before. I remember just staring at all this bounty in amazement. I felt like we were the poshest people in England! Hey Caveman, what a fantastic memory that is, I love how you even remember the TV programme! That hamper certainly sounds like something I would love to receive, not so sure about giving one as it sounds huge. I did do a large hamper for a close friend one year, it was as many food items (she was a bit broke) as I could get for £20 – it filled a large cardboard box – a basket hamper would have blown the budget. For added fun I filled it with shredded paper so it took time to find every present. She loved the hamper but not the shredded paper everywhere – she still reminds me of it now. Memories!